The spring feast days are completed and the second month of the Hebrew Year is upon us! 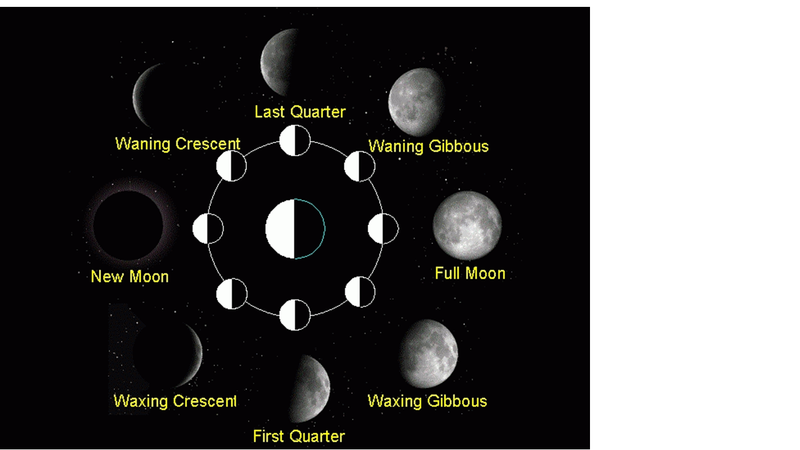 Each month begins at the start of the next New Moon. The New Moon shows totally dark! Yah gave us no portion of the moon to use as a symbol. Tags: Abib, bible, blacks, elder Yachov ben israel, Halleluyah, Hebrew Israelite, Hebrew New Year, NCCI, Yahshua, Yahweh, YHWH | Permalink. Tags: Abib, bible, blacks, elder Yachov ben israel, Feast of First Fruits, Feast of Unleavened Bread, Halleluyah, Hebrew Israelite, NCCI, Unleavened Bread, Yahshua, Yahweh, YHWH | Permalink. Tags: Abib, bible, blacks, elder Yachov ben israel, Feast of First Fruits, Halleluyah, Hebrew Israelite, NCCI, new moon, New Year, Passover, ten commandments, Unleavened Bread, Yahshua, Yahweh, YHWH | Permalink. Tags: Abib, bible, blacks, elder Yachov ben israel, Feast of Unleavened Bread, Halleluyah, Hebrew Israelite, Hebrew New Year, NCCI, ten commandments, Unleavened Bread, Yahshua, Yahweh, YHWH | Permalink. The Spring Holy Days are almost here! Passover begins 4/9/2017 at even. Leviticus 23:5-6 In the fourteenth day of the first month at even is the LORD’S passover. 1 Corinthians 11:23 -26 … That the Lord Yahshua [Jesus] the same night in which he was betrayed took bread: And when he had given thanks, he brake it, and said, Take, eat: this is my body, which is broken for you: this do in remembrance of me. After the same manner also he took the cup, when he had supped, saying, This cup is the new testament in my blood: this do ye, as oft as ye drink it, in remembrance of me. For as often as ye eat this bread, and drink this cup, ye do shew the Lord’s death till he come. Feast of Unleavened Bread Day 7 on 4/16/2017. 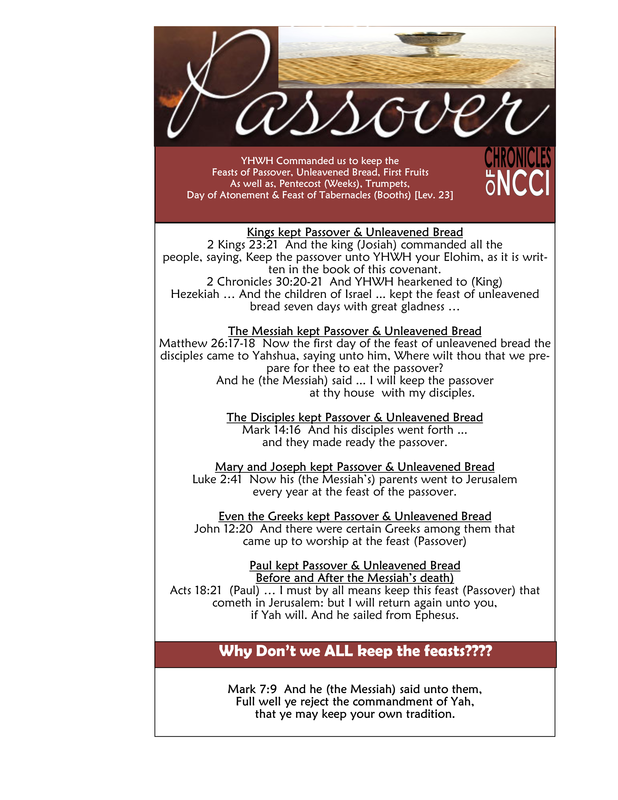 During this upcoming week the week of Unleavened Bread, we must not have any leavening in our dwellings. 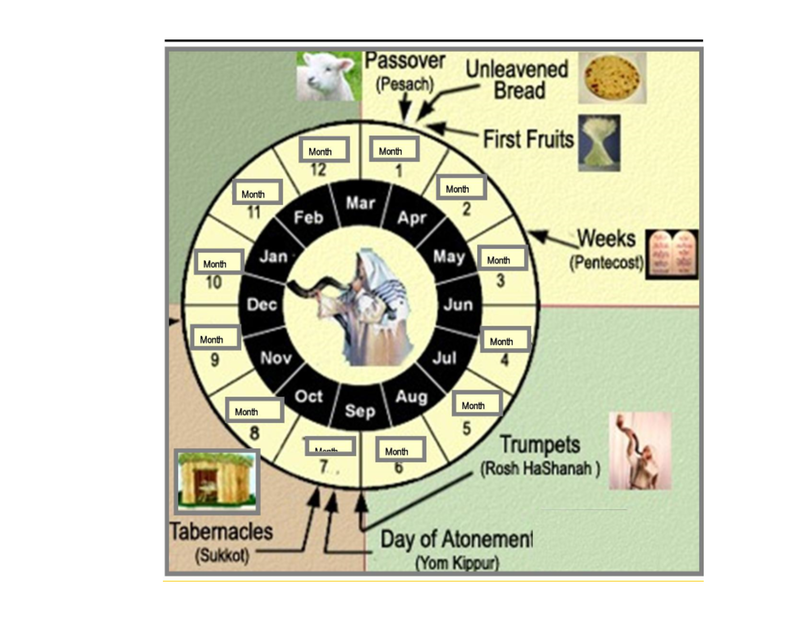 We must also eat unleavened bread each day of the week of Unleavened Bread. Exodus 12:15-17 Seven days shall ye eat unleavened bread; even the first day ye shall put away leaven out of your houses: for whosoever eateth leavened bread from the first day until the seventh day, that soul shall be cut off from Israel. And in the first day there shall be an holy convocation, and in the seventh day there shall be an holy convocation to you; …. And ye shall observe the feast of unleavened bread; … observe this day in your generations by an ordinance for ever. 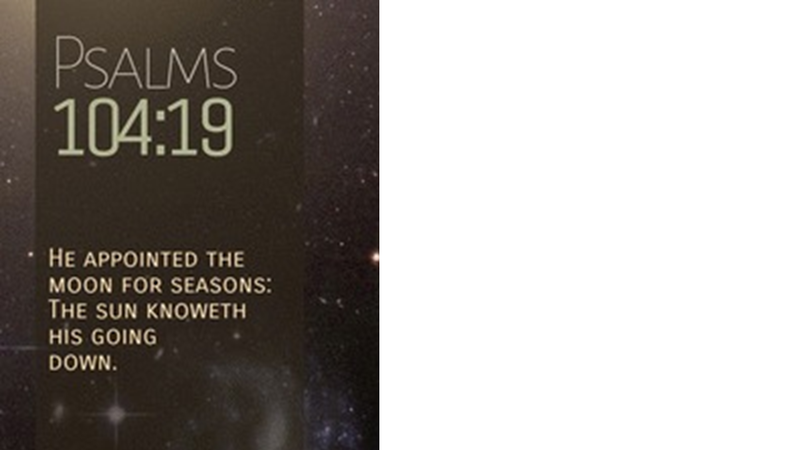 Tags: bible, blacks, elder Yachov ben israel, Feast of First Fruits, First Fruits, Halleluyah, Hebrew Israelite, Hebrew New Year, NCCI, new moon, New Year, Passover, ten commandments, Unleavened Bread, Yahshua, Yahweh, YHWH | Permalink.